The Slocomb 1143 window is the company's impact resistant vinyl series that includes the following features: night vent latch, an interlocking meeting rail, constant force balancing system, dual weatherstripping, heavy die cast locks, deeply pocketed head, a warm edge Duralite spacer, positive sloped sill, metal latches, tilt in sashes, and an aluminum meeting rail reinforcement. While the 1143 model has some nice features, I'm not going to recommend this window as the long term value that other impact windows may offer. The reason is the performance numbers it throws up, particularly the U-factor and Air Infiltration numbers. I feel they are too high to recommend the Slocomb 1143 impact window to consumers who are looking to maximize their long term return on investment. Of all the Slocomb series, I would have to give the nod to the Windblocker 477 window. Consumers can expect the 1143 window costs to run $55 to $65 per square foot for the window itself. Other impact windows that I like include Stanek hurricane impact windows. The Slocomb 1143 double hung window with an SB70 glass with an argon fill will deliver a .34 U-value, .21 SHGC, .14 air infiltration, .47 visible transmittance, 55 condensation resistance, and has a design pressure of 50. While a few of these numbers are good, including the DP50 and and 55 condensation resistance, the U-factor and the AI are worse than I would have thought for an impact window. 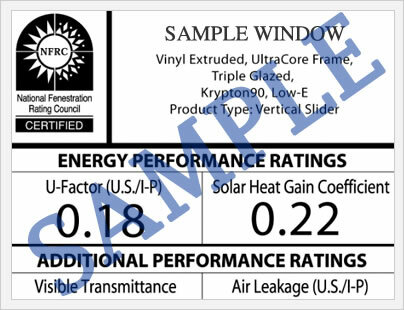 It's a bit hard to endorse this hurricane rated window with performance numbers as low as this. The Slocomb 1143 impact vinyl window comes with the same warranty as their other windows, such as the Slocomb ProTech 177 series, although I wasn't able to find many details that discussed the warranty provisions. 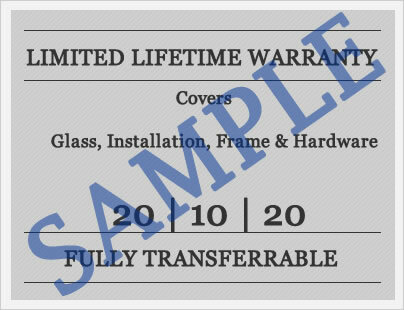 If you own a Slocomb 1143 hurricane window and would like to share the warranty with us, we would love to get some more details for our users. Do you have a Slocomb 1143 impact window review to share with other homeowners? We would love to hear about your experience, good or bad. Do you have a question about the Slocomb 1143 series that you'd like to ask our experts? Jim and John can answer your most pressing questions on window prices, features, options, installation and much more.